Sarah Prineas’s bold fairy-tale retelling is a dark and captivating world where swords are more fitting than slippers, young shoemakers are just as striking as princes, and a heroine is more than ready to rescue herself before the clock strikes midnight. As Pin tries to fight her arranged path, she finds that a sword is a much better fit for her than a glass slipper, and that the boy who she escaped with is still searching for her, and won’t stop until he rescues her—if Pin doesn’t rescue herself first. 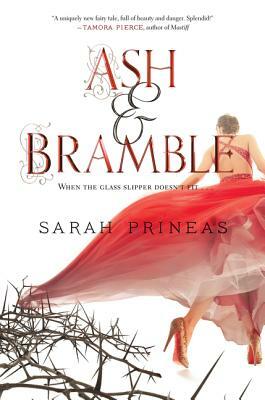 Ash & Bramble is a delightful deconstruction of society’s fairy tale myth, wrapped in an exquisite, spellbinding adventure. A must-read for teens who yearn to forge their very own story.